3. Extensibility and Resistance The Extensograph and the Alveograph have many properties in common. Nevertheless it is interesting to note that most inquiries on optimization concern the Alveogram. In particular, wishes for modification include the extensibility and resistance of the Extensogram, the L-value and the P-value of the Alveogram, and also the P/L ratio of the Alveogram. Sometimes the areas beneath the curves (equivalent to the energy input) need to be modified. 2. 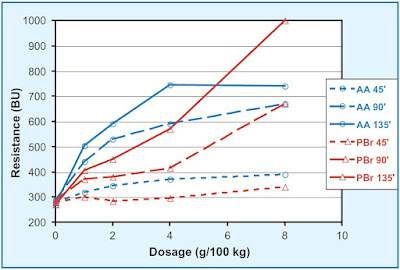 Mixing Resistance Four main wishes have been identified concerning the modification of the Farinogram curve: increased or reduced water absorption and increased or reduced stability. 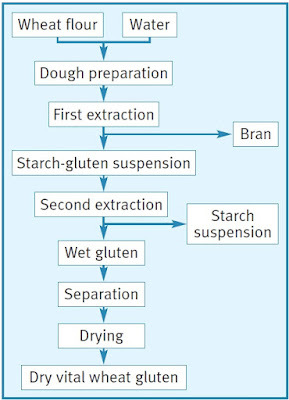 Enhancing the water uptake of a dough means reducing its stickiness and increasing the potential for adding more water, e.g. 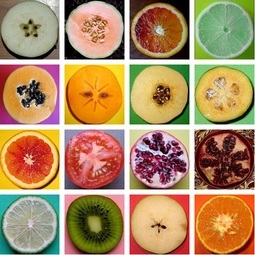 to achieve a longer shelf-life of the finished product. Besides adding hydrocolloids or vital wheat gluten, more elegant means exist – for instance xylanase, that only acts on water-insoluble xylan. The resulting solubilized xylan absorbs more water (Fig. 137). 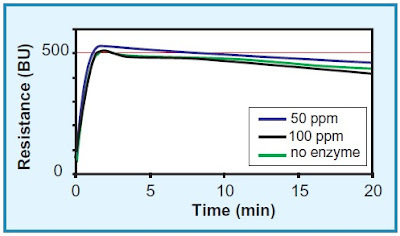 Xylanase preparations for improved volume yield do not only enable this activity; they also contain xylanases which degrade the pentosan fragments further, releasing water again. Although this improves the volume yield, the water uptake is reduced. 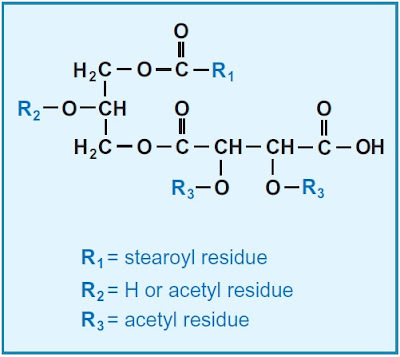 Enzymes creating hydrocolloids in situ also improve water absorption; they include alternan sucrase (Popper, 2002) and dextran sucrase. 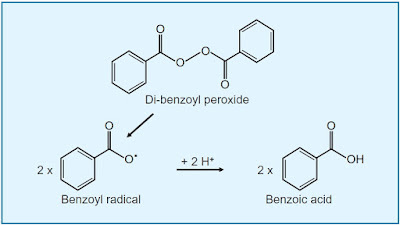 1.Benzoyl Peroxide For a long time, benzoyl peroxide was a familiar oxidative bleaching agent and it is still used to this day in many countries. 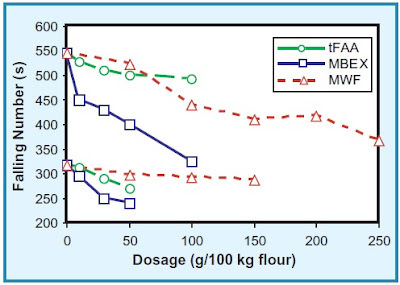 In addition to its good bleaching effect it has a slight influence on the structure of the gluten, but this is not apparent when other flour improvers such as AA are used.